It's finally here! The reboot that will ruin all of our memories of the original and fantastic Ghostbusters.How dare they replace our beloved characters. Oh the horror. Guys, it's really not that bad. Physicist Erin Gilbert (Kristen Wiig) is looking to gain tenure at her job but is denied due to a book that her and old friend Abby Yates (Melissa McCarthy) wrote about the paranormal. In an attempt to get the book taken down, the pair along with engineer Juliann Holtzmann (Kate McKinnon) are having to face off against many ghosts. Joining them is train station worker Patty Tolan (Leslie Jones) and they have to come together to take on the ghosts and who is causing them to reappear in the masses. Thank the lord this movie is not terrible. Hallelujah. One of the films that I didn't expect much of did much better than I thought which is very pleasing. Is it the greatest movie ever? No. Is it a patch on the original Ghostbusters? No chance. But is it enjoyable. Yes! The film is most definitely a fun flick overall that should bring audiences enjoyment. One of the things that a lot of people were worried about were thee female Ghostbusters themselves. i don't see why as when you think of some of the best female comedy stars, you would think Kristen Wiig and - hit or miss- Melissa McCarthy. Take two of SNL's best in Leslie Jones and Kate McKinnon and you're set. 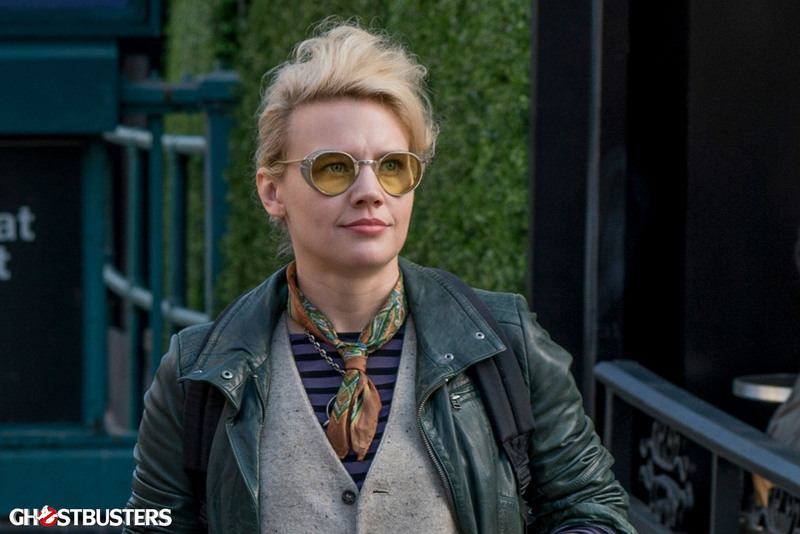 McKinnon was the most fun Ghostbuster for me as she seemed to be having a lot of fun in everything that her character was doing. I feel she did a great job that made her stand out slightly from the rest. All four are entertaining and bounce off each other very well. The only thing that lets them down is actually the writing. Sometime the jokes weren't good enough to start with which leads to some not hitting as much. The four leads bring it which was very pleasing. Although the four leads do bring it, they are not the funniest part of the film. That would have to go to Chris Hemsworth as the secretary Kevin who is utterly clueless about everything. I can see some people not enjoying this character as it does like to bash you over the head with how stupid he is but for me they did really well to keep it funny and entertaining. He does fade out of the film a bit but whenever he's in a scene, he steals it. Unfortunately for the film, it isn't as funny as everyone hopes that it would be. Some of the problems faced within the trailers were partially true. The humour isn't carried throughout the whole film which is quite a shame as it is intended to be a comedy. The film stays entertaining but doesn't get enough humour to cause your sides to be splitting which you hope for in a comedy. In the end, a comedy is meant to have you laughing the whole way through. 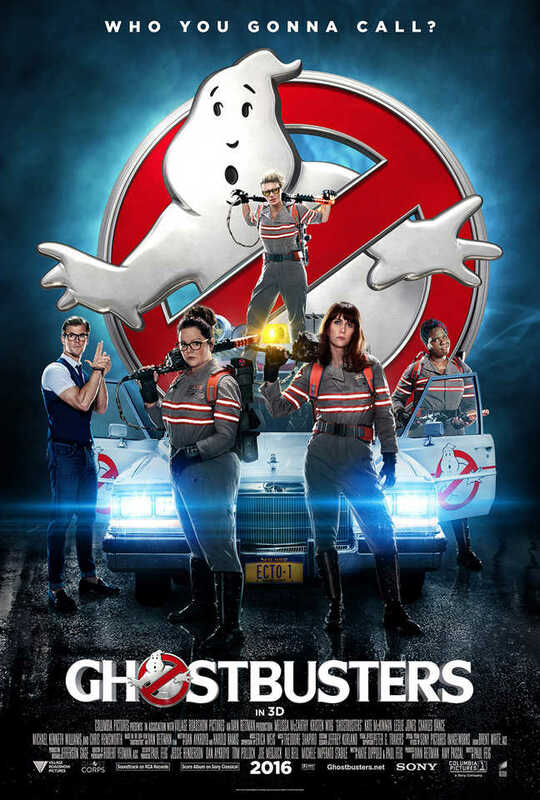 Ghostbusters unfortunately cannot keep that up which does hinder the film quite a bit. The action in this film is actually handled very well as well. With better technology to be used this comes as no surprise really and it would have been disastorous for this to not have suceeded. They were able to create some very cool moments with one from McKinnon's character standing out for me. The gadgets used throughout the film use a lot of jargon that make the explanations a bit hard to keep up with and understand fully what they are doing. But in a film where technology is used to fight herds of ghosts, you don't really care too much about that. A problem that I had with the film was that there wasn't a whole load of effort put into the ghosts of the film. It starts off with explaining the past of one but doesn't do this with any others meaning that they are all just ghosts and nothing else. There is no real character to any of them other than different shapes and sizes. They are just CGI characters created just to be there and give our leads something to tackle. It would have been much better if they took more time to fan out even a couple of the ghosts to make them more interesting, threatening and overall entertaining. Nowhere near as bad as expected, Ghostbusters is a fun time. The comedy is good but doesn't flow through the whole film but is still entertaining enough. The leads bring it which is very pleasing too. So have you seen 'Ghostbusters'? If so what did you think of it? I hope this review was useful for if you were planning on seeing the movie. I hope you enjoy the film if you choose to see it as well. Once again, thank you so much for reading my review, it is much appreciated!